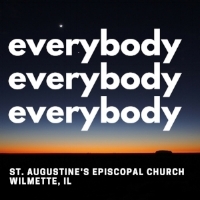 Each Sunday during worship you will hear the words “everybody, everybody, everybody” is welcome to our table, where Christ is present, where bread and wine become our sacred feast. This language of welcome has permeated the theology and culture of the church and are a testament to who we strive to be in Christ. And who is everybody? Well, you are. Because we welcome you. Whether you’re a regular church-goer or haven’t crossed the threshold for a very long time. Whether you’re a believer or a skeptic or just curious about what faith means for you. Whether you’re gay or straight or bi or trans. Whether you’re married or divorced or partnered or single. Whether you have kids or not, or are a kid yourself. Whether you’re liberal or conservative, rich or poor, formally educated or not, African-American or Asian or Latin or Anglo or American Indian, whatever your physical abilities, whether you were born in this country or any other. You are a part of the everybody we welcome. And we can’t wait to meet you. So come join us sometime soon, for worship, or service, or study, or some good food. And please take a moment to fill out the online welcome card you'll find below. We look forward to getting to know you! We invite people into the midst of the Church, which is the Body of Christ. We connect with God and one another. We equip ourselves as disciples. We ask God to send us forth to share Christ’s mission of peace, service, and justice in the world. At St. Augustine’s we strive to live into our mission with grace and generosity. Recognizing that we do not exist for ourselves alone, we support the ministries of the Episcopal Diocese of Chicago and the broader Episcopal Church’s witness to the world. Checking this box will add you to our weekly parish e-mail. Thank you! We look forward to being in touch with you soon.